Children LOVE to read about animals. 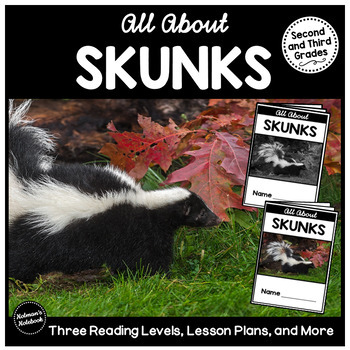 Engage your students with the non-fiction reading booklet about the Skunk. 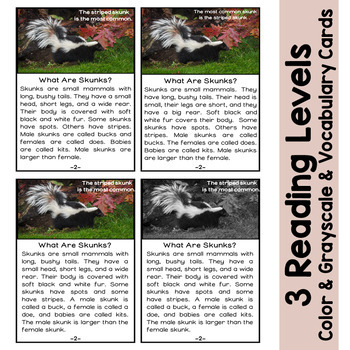 There are three reading levels to make it easy for you to differentiate. 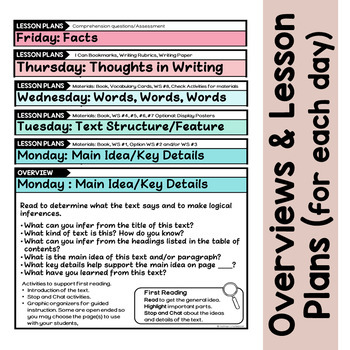 Choose the printables your students need or do all of them. Most are meant to be used as guided work-pages in your reading group. The font and use of real photo graphics are kid-friendly. 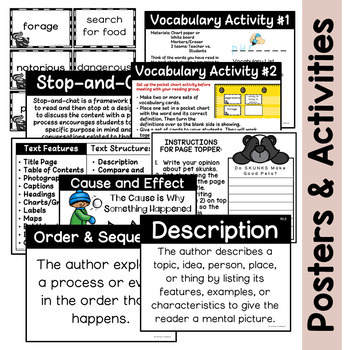 This low-prep resource also comes with instructions for printing and putting the booklets together. Opinion Writing: Do Skunks Make Good Pets? Don't forget that leaving feedback earns you points toward FREE TPT purchases. I do LOVE that feedback! Also, follow me and be notified when new products are uploaded. As always, please contact me with any questions or concerns! Thanks so much for visiting my store! I hope you come back soon! Copyright © Notman's Notebook, LLC. Failure to comply is a violation of the Digital Millennium Copyright Act (DMCA).